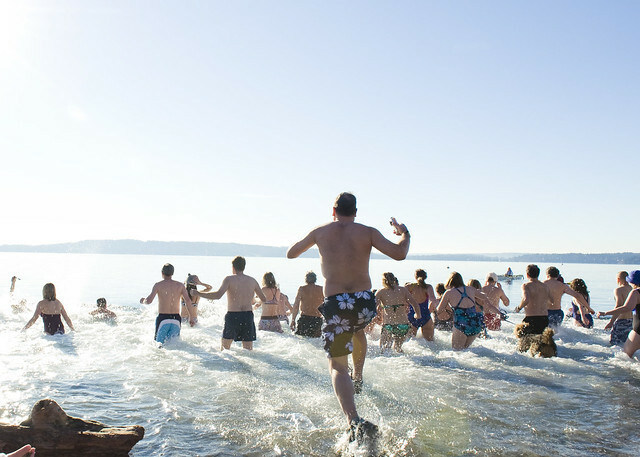 Animated gif of the Jan. 1, 2013 Three Tree Point Polar Bear Plunge by Jana Kleitsch. 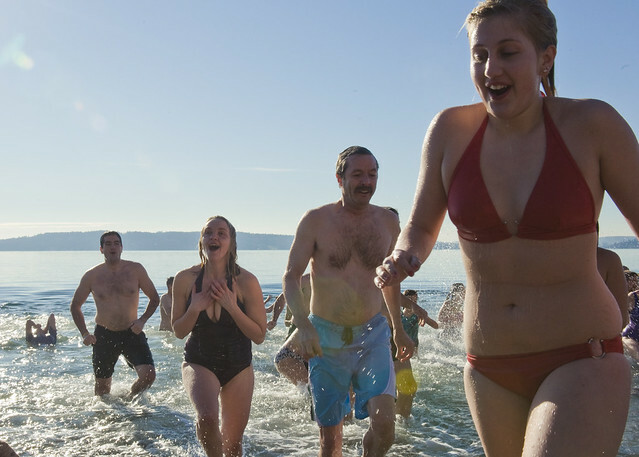 Dive into the New Year with Burien’s annual Polar Bear Plunge, to be held at Noon on New Year’s Day (Wednesday, Jan. 1) in Three Tree Point! 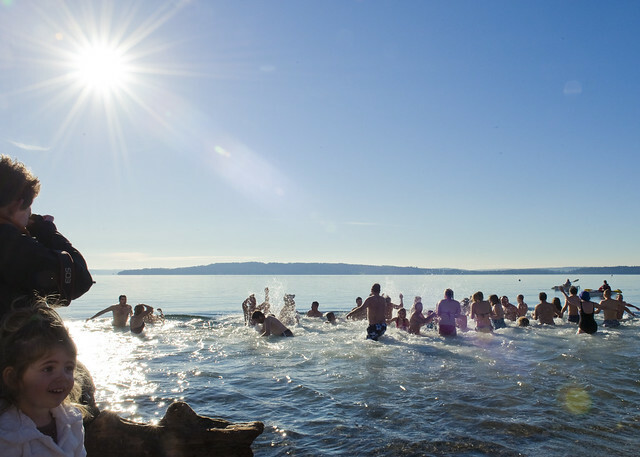 Not much else can match this wacky local and growing tradition – last year around 60 people took the plunge – just look for the foolish, er we mean courageous folks gathering ’round in bathrobes and swimsuits in the 3500 block of SW 172nd Street just before Noon on Wednesday,Jan. 1st (NOTE: you might want to arrive early though as nearby parking is limited). 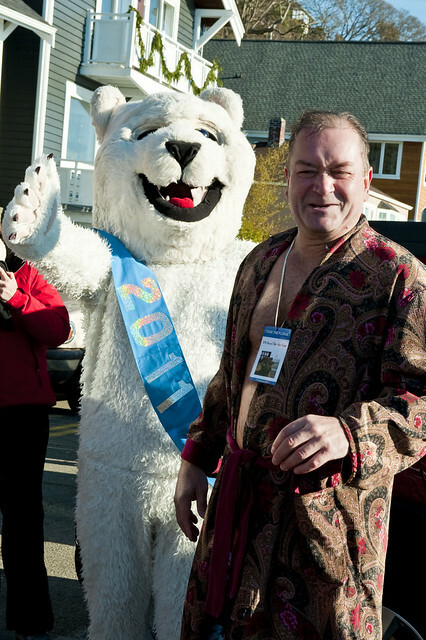 The entire, chilly, crazy affair lasts 15-25 minutes, with the actual plunge itself lasting about a minute or so. And each year a new Champion is crowned for their enthusiasm, endurance and/or humor. The Weather Peeps are forecasting “Patchy fog. Otherwise, mostly cloudy, with a high near 46” that day. 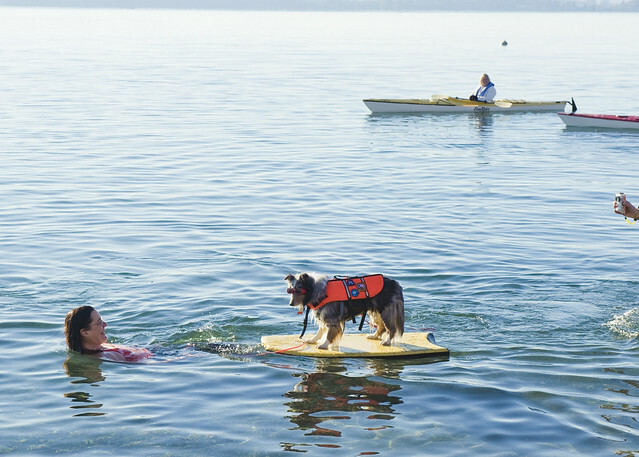 Water temps are usually around 45 or so degrees, which means that oftentimes the water is warmer than the air. Perfect! Everyone’s welcome to attend this FREE event, and we encourage all participants and visitors to bring some non-perishable food (or a check) for the Highline Area Food Bank. Oh, and a blanket and your swimsuit too! Had a great time doing this last January (2013), my first at the Three Tree Point location. My advice: wear athletic shoes, tevas, or aqua socks. The shoreline is a little rocky and your feet can get roughed up.